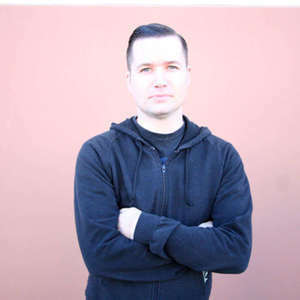 Ryan Downey is the senior editor for Alternative Press magazine, started his own band management company called Superhero Mgt. managing Greg Puciato and Killer Be Killed, Demon Hunter, The Atlas Moth and Throwdown. Ryan Downey has worked for MTV and used to be the vocalist for Burn It Down. It's ridiculous that Ryan found time to be home let alone talk to Trav and this chapters guest host Seth W.
I'll sum this whole chapter up for you by quoting Ryan J Downey in saying that the music industry is "more assholes fighting over less stuff". The opening Coalesce story is...a zinger. Wow. Ryan explains what it means and doesn't mean to be a band manager. There's a lot in this one and I recommend taking notes. Plus...there is a Dave Elitch drummer drama story in here about Killer Be Killed that has...bum bum bummmm...never been told before. So much insight in this one you'll need to visit it twice. Ryan Downey loves you. Take care. Bye bye. Burn It Down - "Snakes In The Garden"
Dillinger Escape Plan - "Hollywood Squares"
My Dying Bride - "Crown Of Sympathy"
Killer Be Killed - "Wings Of Feather And Wax"